Item # 301894 Stash Points: 7,999 (?) This is the number of points you get in The Zumiez Stash for purchasing this item. Stash points are redeemable for exclusive rewards only available to Zumiez Stash members. To redeem your points check out the rewards catalog on thestash.zumiez.com. Ditch your old goggles for something more streamlined. 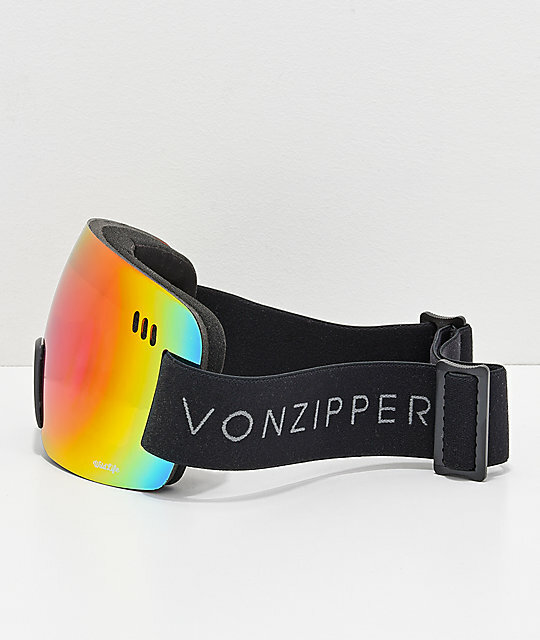 The Alt XM Wildlife Black Satin Chrome Snowboard Goggles from VonZipper feature a frameless design, making it extremely lightweight while providing maximum peripheral vision. 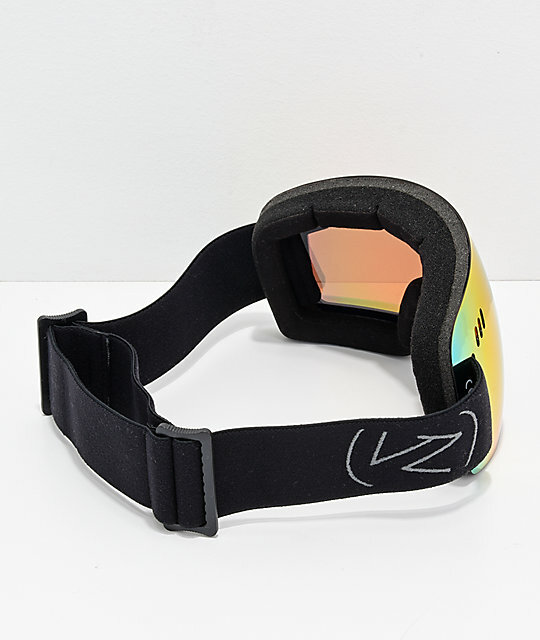 The Alt XM goggle is completed with triple-density multi layered foam backed with fleece for optimal moisture management and ventilation when shredding. 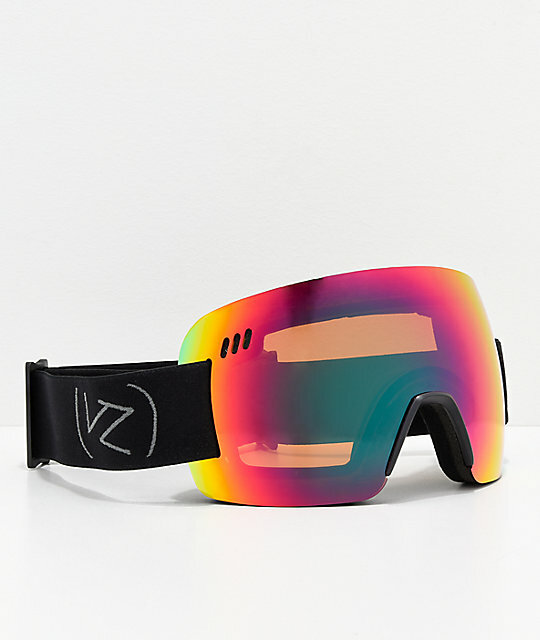 Alt XM Wildlife Black Satin Chrome Snowboard Goggles from VonZipper. Medium-large size with molded polyurethane nose guard. Toric Black Chrome: A dual-layered mirrored black chrome lens offers a Visual Light Transmission (VLT) of just 5% making them ideal for seriously sunny, reflective & bright conditions. Glaricade anti-fog treatment with hard coated scratch-resistant treatment. Lightweight dual adjustable strap with grip.